Billy Bingham was manager of the Northern Ireland football team and was a former pupil of Elmgrove Primary School. This is taken from a photocopy so I must apoligise for the poor quality of the picture. 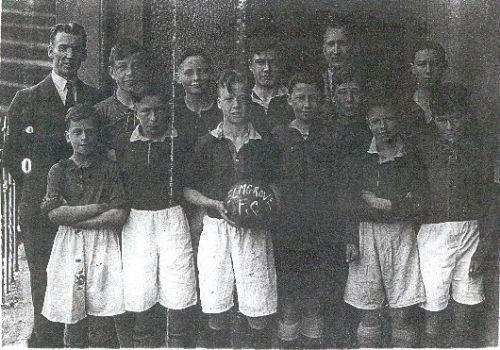 The photo was used in the Belfast Newsletter Tuesday April 3 1945. The occasion was the final of the the Schools' Football Cup at Cliftonville and they team played against Larne Technical. Unfortunately the paper does not report the score!